Zaxcom unveils its new URX100, a multipurpose UHF receiver that can be configured as a camera link receiver, an IFB receiver with walkie talkie interface or a standalone IFB receiver with timecode view and delay. “We created the URX100 to be the most flexible receiver for monitoring production sound,” says Glenn Sanders, President of Zaxcom. 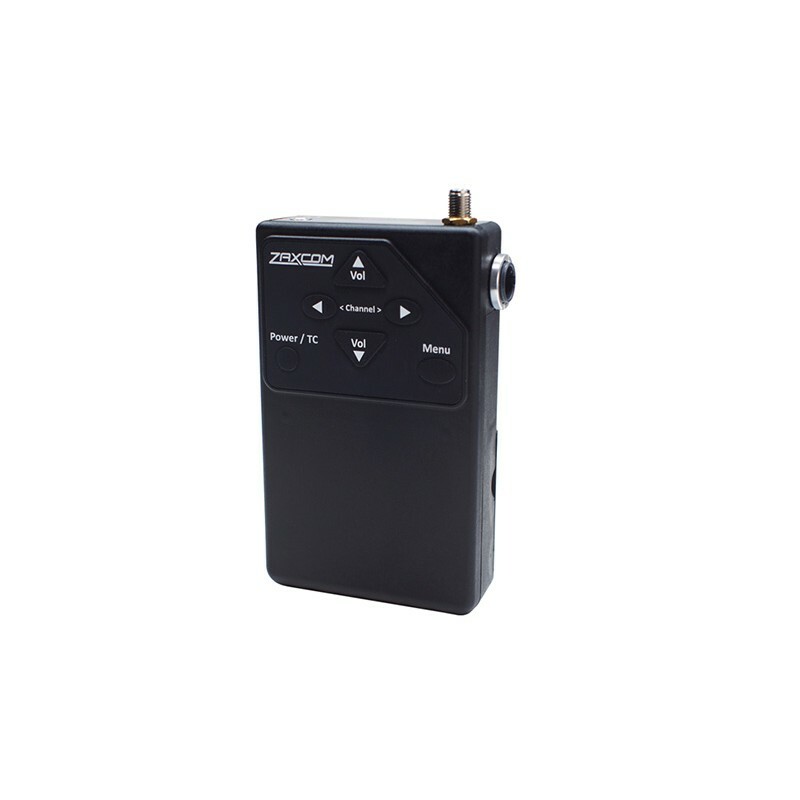 Robust and reliable, the URX100 is capable of monitoring any Zaxcom Digital Recording Wireless transmitter. As a UHF diversity receiver it utilizes Zaxcom’s tunable tracking front end filter to combat interference and extend range. Two antennas – one internal, the other external – offer dropout resistance while receiving audio. Audio is encrypted to maximize privacy and operating distances can exceed 500 feet. The URX100 is a low-cost solution for getting audio and timecode to camera. There are two modes of operation: stereo audio output or mono audio output with SMPTE timecode that is sub-frame accurate. Stereo audio or balanced mono audio is output from the 3.5mm headphone jack. SMTPE timecode and mono unbalanced audio is output from the auxiliary TA5 connector. The URX100 can be connected to the remote speaker/mic port of a walkie talkie. You can route the walkie talkie audio left, right or center by the URX100 and/or mix the walkie audio with the URX100 receiver audio. This configuration allows both the URX100 and walkie talkie audio to be heard at the same time with a single pair of headphones when using the URXL1 lanyard. The URXL1 lanyard contains a push-to-talk button and a microphone to allow the lanyard to function as a remote microphone for the walkie. Volume control is also provided from URXL1 lanyard and any headphone with a 3.5mm jack can be plugged directly into the URXL1. The URX100 is compatible with the most common brands of walkies. 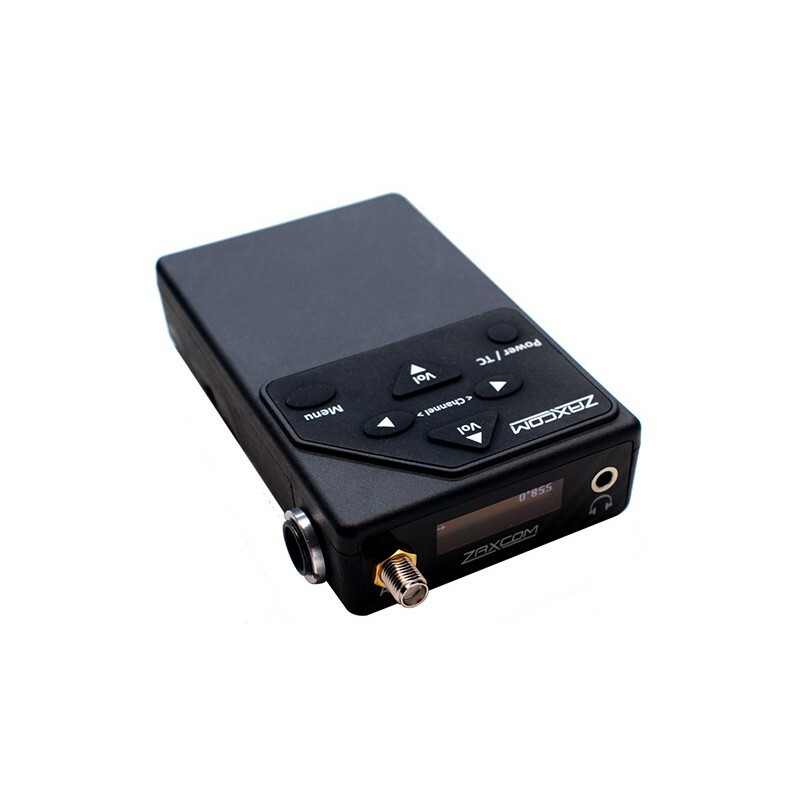 As an IFB receiver, you can listen to mono or stereo audio and view timecode on the OLED display. Up to six frames of programmable delay allow for synchronization with video village. When using the optional URXL1 lanyard, you can listen to both the IFB audio and walkie talkie audio. You can talk back using the built-in URXL1 microphone and adjust the volume. 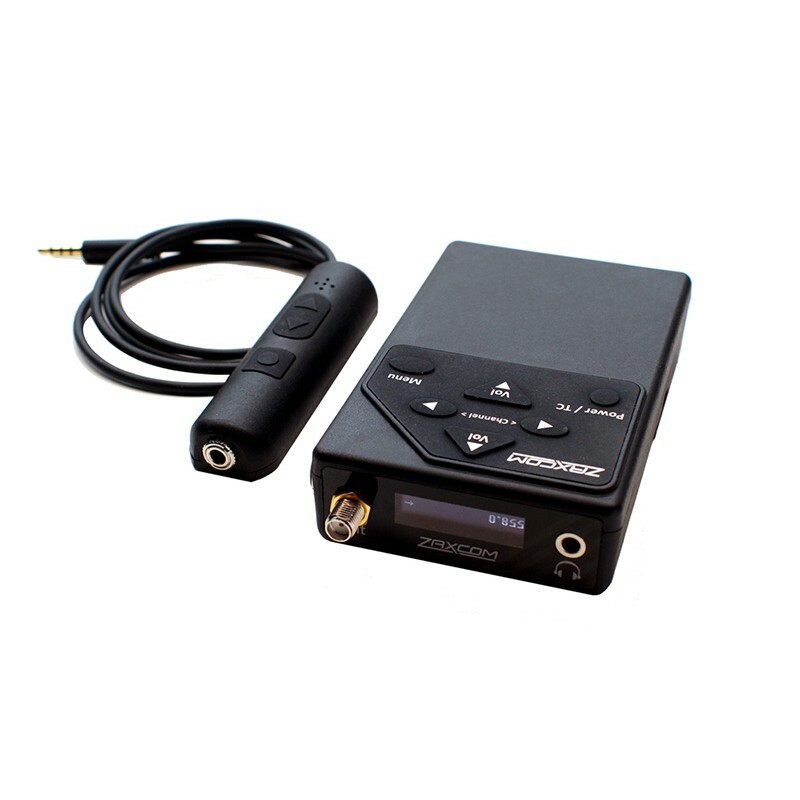 The URX100 can also monitor a stereo signal or route the audio to left, right and both ears as a mono mix. The stereo signal can be selected at the URX100 so that a boom operator can monitor one of two transmitted channels that can include a public IFB feed as well as a private communication channel. This monitored audio can also be combined with the audio from a connected walkie with left, right or center routing. In development is a browser based remote control interface that will allow any number of URX100’s to be programmed remotely. Pre-set frequencies and operating parameters can be instantly loaded into the URX100 remotely. The URX100 is lightweight at 4.5 oz (127 g). A front panel provides controls for channel selection and volume adjustment and a top screen displays channel names. 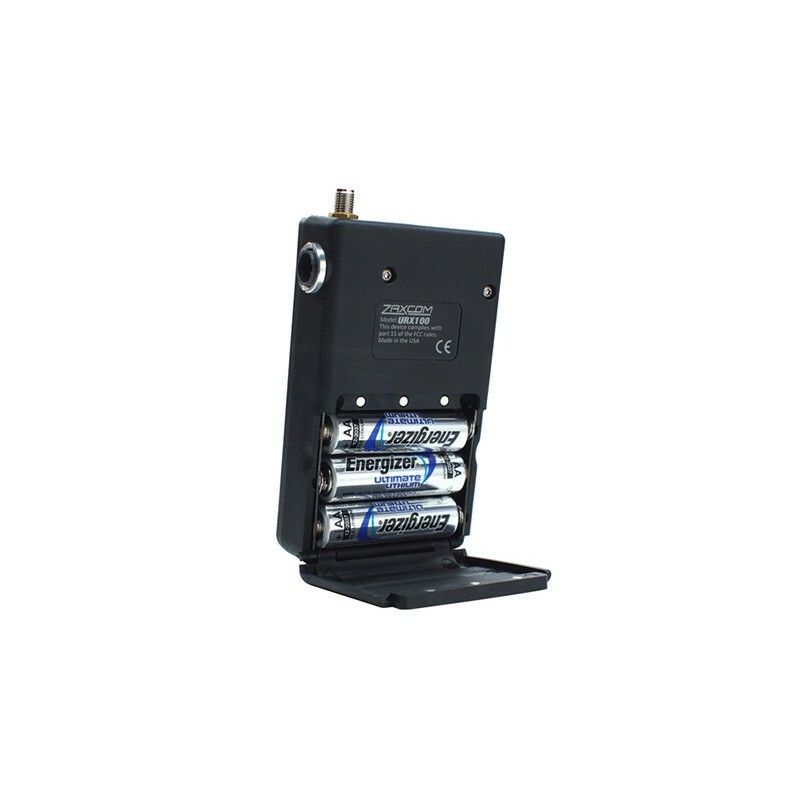 The URX100 is powered by 3-AA batteries providing up to 10 hours or runtime with lithium batteries and alkaline lasting up to 8 hours.